I’ve been reading Breaking the Habit of Being Yourself, by Joe Dispenza as part of an informal book club with some of my friends. And since I happened to be in a sketchnoting frame of mind while I was reading it, I ended up taking sketchnotes of every chapter. Here are my notes from chapter one (click on the picture for a bigger version). Please excuse the sparkly nature of the pen; I’d just come across an old set of really nice gel pens and couldn’t resist using them (I used a different colour for each chapter of the book – thankfully, the lighter pens were used for later chapters!). As you can see from my notes, the book goes quite a bit into quantum mechanics, and how we can apply what we know of the quantum field to “rewiring” ourselves and breaking out of old habits. It’s a very interesting discussion, although sometimes the application of theory seemed a little bit forced to me. But since I believe there are mysteries of life and consciousness that just aren’t explainable by our current scientific knowledge, that didn’t bother me much. For me, the power of Breaking the Habit of Being Yourself lies in the four week meditation program outlined in the last half of the book. I actually spent several weeks going through the process – but found myself resisting taking it beyond week two every single time. But luckily, I’ve been reading this book with some friends of mine, one of whom went all the way through the four week process – and rather inspiringly, she has been experiencing all sorts of lovely and welcome career-related surprises in her life. I am currently standing at one of those proverbial forks in the work/life road, and such surprises would definitely be an asset right around now! So I ended up going to Joe Dispenza’s site and buying the MP3 download of the guided meditation, which was what my friend was using as a companion to the book. The book refers to this meditation a few times; unfortunately, access to the meditation doesn’t come with the book but both Ward and I have been doing the meditation for a few days now and I’d say it’s well worth the $4.95. For one thing, each time I’ve finished the meditation (which, at over an hour, is quite long) I find myself just bopping with energy. This morning, right after I finished, it occurred to me to go to the local coffee shop and work on my current novel. I spent a wonderful two hours there, and managed to discover the solution to a plotting problem I was facing. Pretty powerful stuff. If you’re into the quantum mechanics aspect of changing old habits, you’ll probably find the book interesting. And if you find yourself having problems with the meditation program outlined in the book, you might want to give the guided meditation a try. At the very least, Ward and I are both enjoying our meditation practice a lot more these days! 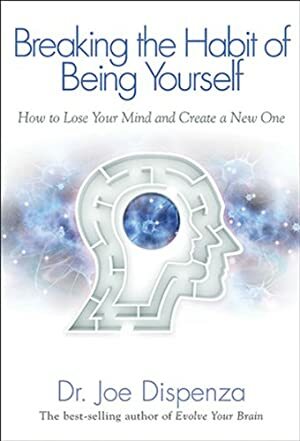 This entry was posted in Books and Reading, Reviews, Writing and tagged daily practice, habits, meditation, non-fiction, self-help on June 8, 2012 by Belle Wong.